The Instant Pot makes quick work of this amazingly delicious Instant Pot Red Wine Beef Stew. The combination of red wine with dried figs and sweet carrots takes this beef bourguignon to new flavor levels! So simple. It takes only a little bit of prep time and then in about an hour you have a stew that tastes like it’s been simmering on the stove for hours! Click here to pin this Instant Red Wine Beef Stew now! 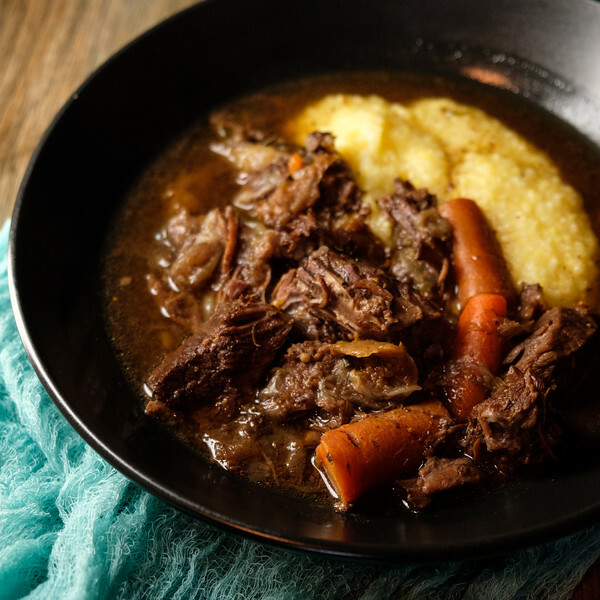 Are you wondering what the difference between a beef stew and a beef bourguignon is, besides the fact that I can easily spell “stew” and have to check the spelling of “bourguignon” every time? What I learned after much googling is that beef bourguignon is a beef stew, where the beef is braised in red wine. That means that what I am calling a Red Wine Beef Stew is actually Beef Bourguignon, but for people who can’t spell bourguignon. Whatever you call this, call it dinner, because it was amazing. Dried Figs in Beef Stew! People. I have made lots of beef stews in my lifetime. This, hands down, is now my favorite. I don’t know if the figs are traditional and everyone else has always done it, but they are amazing. They add such an earthy sweetness which pairs beautifully with the carrots. The pearl onions almost dissolve and the sauce is amazingly rich. 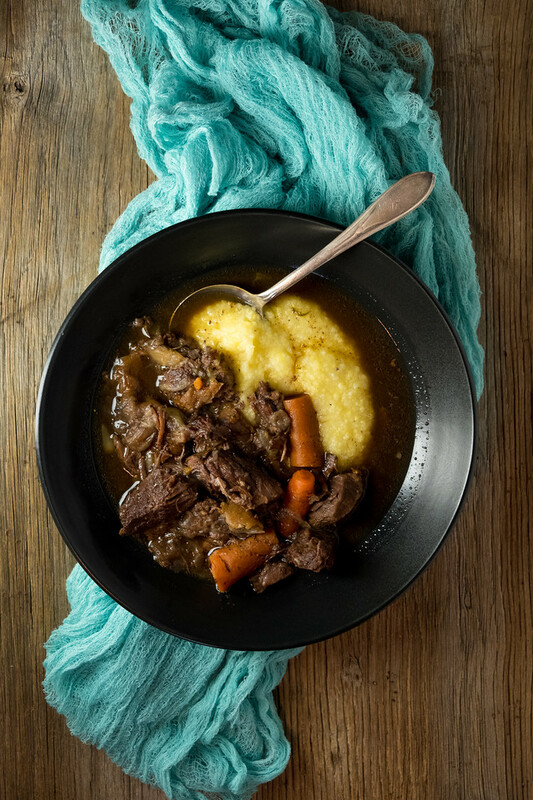 I served it over polenta, but you could serve it over rice, potatoes or noodles. I am currently working my way through, The Great Big Pressure Cooker Book, which is where I found this recipe for Bistro Beef Stew with Red Wine, Carrots, and Figs. And, if you don’t have an Instant Pot yet, you need one! Can we talk for a minute about how easy it is to make this stew! You prep your vegetables: thaw your pearl onions and chop your carrots. Cut your beef into 1 1/2 inch pieces. Get the rest of your ingredients ready: red wine, dried figs, rosemary, thyme, salt, pepper and cornstarch. Then you brown the meat, and remove to a bowl. Add the onions and cook. Add the red wine and scrape to get all those delicious brown bits off the bottom of the pan. Put everything in the pot (except for the cornstarch,) lock the lid in place, set your timer and walk away. Walk away. That’s my favorite part of the Instant Pot. No worrying about a gas flame left unattended. I know that it’s going to cook for 30 minutes and release pressure for 25, that means I can go do whatever I want for at least an hour. The Instant Pot does all the work! Did you know you can make frittatas in an Instant Pot? 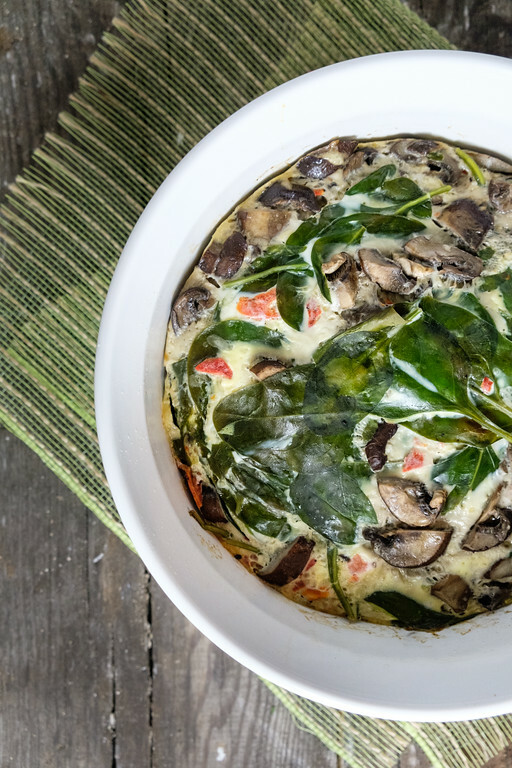 Like this Instant Pot Frittata with Spinach and Mushrooms. 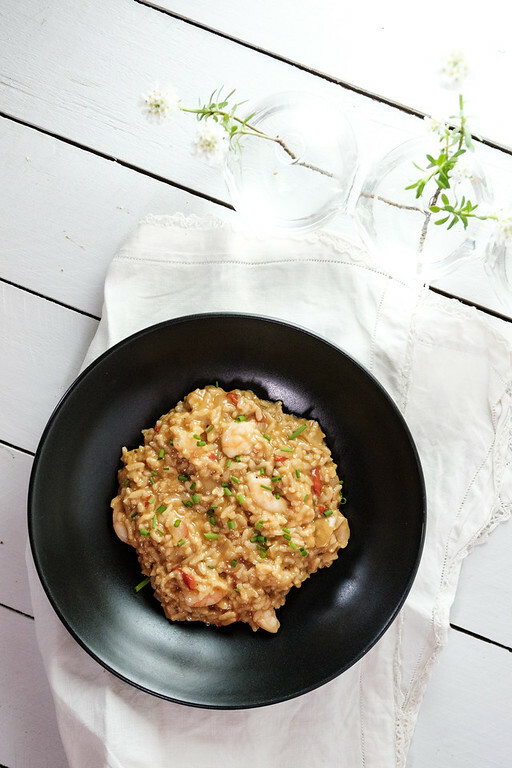 You can also make risottos, like this Instant Pot Shrimp Risotto. 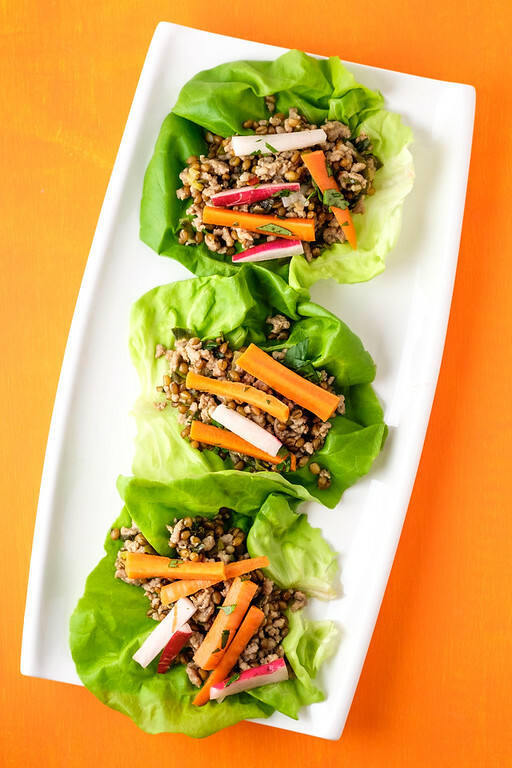 Everyone loves these Healthy Pork Lettuce Wraps! Oh good! I’m so glad you liked it! Real talk, this was one of the best things I’ve ever eaten the first time I made it. My wife went nuts and so did our four year old. It’s in the pressure cooker again for the second time now. The longer this sits in the fridge, the better it gets. No joke, this recipe is a 10. Yay!! I’m so glad you liked it! We love it too! It sounds weird but I have never cooked food with wine 🙂 Wine in my house is just for drinking, and I rarely buy it, only for special occasion. Thank you for sharing the recipe, gonna buy a new bottle for this recipe. I am afraid of the pressure cooker so I will need the hubby to make this. Your post is featured on Full Plate Thursday this week. Your post will be pinned to our Features Board and hope you enjoy your new Red Plate. Thanks so much for sharing with us and come back to see us soon! Pinning! I haven’t got an Instant Pot but that stew is just about enough to get me to buy one!! Thank you so much for sharing, Pam, and for being a part of the Hearth and Soul Link Party. I don’t like the old fashioned stove top ones, but this electric one is great!